Nowadays in every gym, you may see women doing exercise/workout on treadmills, using different exercise machines, joining fitness classes or workout for body-weight. 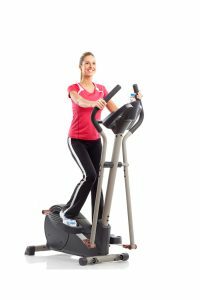 Regular exercise machines have many advantages, but exercises through machines can also have disadvantages that you should encounter on before making them an essential of your workout routine. If you are checking for a well-rounded workout in a short span of time, machines may not be the good option. There are following advantages and disadvantages of machine exercise. To get a healthier & longer life, exercise can help you a lot. Many health conditions can be reduced due to regular exercise it includes diabetes, cancers, heart disease and high blood pressure. If you exercise on a regular basis, you can make your bones, joints & muscles strong and enjoy better sleep at night. You also don’t need to worry about depression and cognitive decline. For better look regular exercise is very important. Whether you try to lose weight, recover muscle tone, increase muscle or simply want to maintain your physique, exercise is paired with a healthy, well-balanced diet. By making your body well-shaped, you’re less likely to have physical restrictions. Addiction: Whenever you join gym, you become addicted, but suddenly, when you stop, you are very likely to experience such problems as discomfort, tension, anxiety, guilt, depression, loss of appetite, sleeplessness and headaches. Damage your heart: You get a heavy pressure on heart when you do workout in the gym. The exercise with long-cardio can increase the danger to the heart. So regularly check your heart rate when you are doing exercise. Upset your diet: When you start doing machine exercise regularly, your desire for food becomes more severe and you find it hard to resist the desirability of delicious food; at that time, you face some problems of upsetting your diet and increasing weight. The best course of action is to prudently check your diet and evade the foods that contain many calories. Suffer from injuries: There are slight chances that you can be inflicted with severe injuries working out in the gym. Health specialists guide that to avoid injuries; you should do work out according to your own body requirement, never go far beyond your ability and closely follow the directions of a fitness trainer.